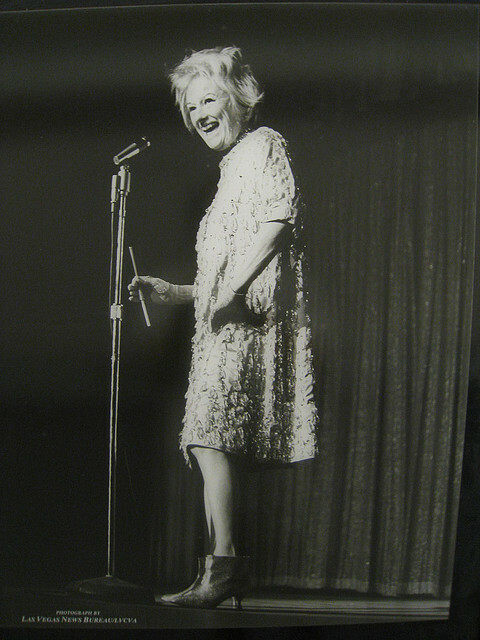 Phyllis Diller at the Flamingo in 1964. “Women want men, careers, money, children, friends, luxury, comfort, independence, freedom, respect, love, and a three-dollar pantyhose that won&apos;t run,” at least according to Phyllis Diller. Long before Joan Rivers asked if we could talk and Chelsea Handler sexed it up like a frat boy, there was Phyllis. She created the mold for self-deprecating female comics and did it in an age where women were to be seen and not heard. She was the first woman to tell jokes like a man, did so to great acclaim and all while supporting her family. Born Phyllis Driver on July 17, 1917 in Lima, Ohio, she became interested in classical music, writing and theatre at an early age. She briefly attended the Sherwood Conservatory of Music (aka Columbia College) in Chicago before transferring to Bluffton College. Her plans were to become a music teacher. Instead, she married Sherwood Diller and started a family. She first found work writing a shopping column for a newspaper, then advertising copy. She moved on to writing and promotional jobs at radio stations, anything to make up for her husband’s inability to hold down a job. “I wanted him to get any job. He couldn’t sell Windex to a Peeping Tom.” Her knack for making people laugh at church, PTA and club functions prompted Diller, with her husband’s nudging, to set her sights on a comedy career at the ripe old age of 37.